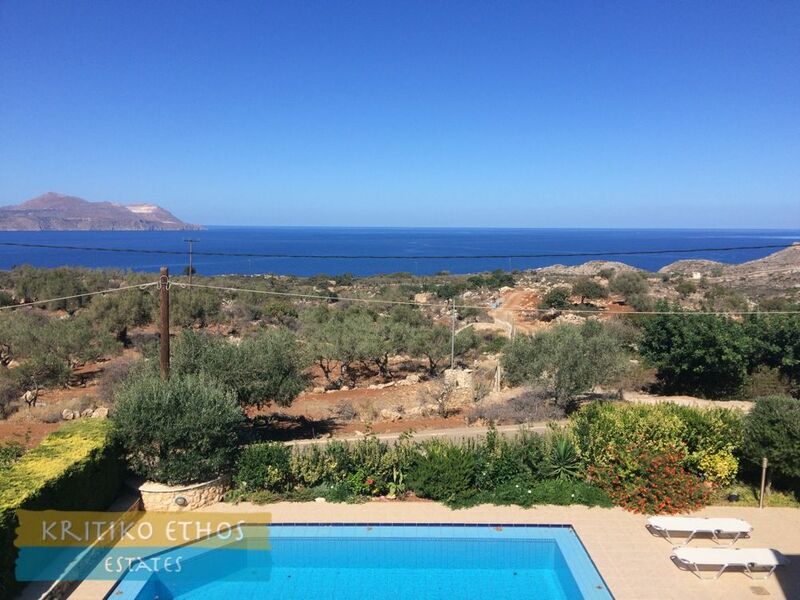 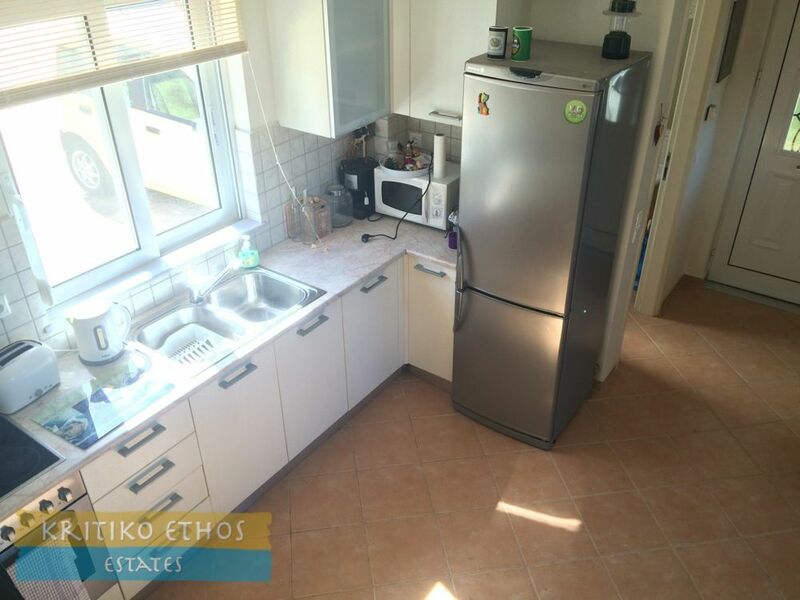 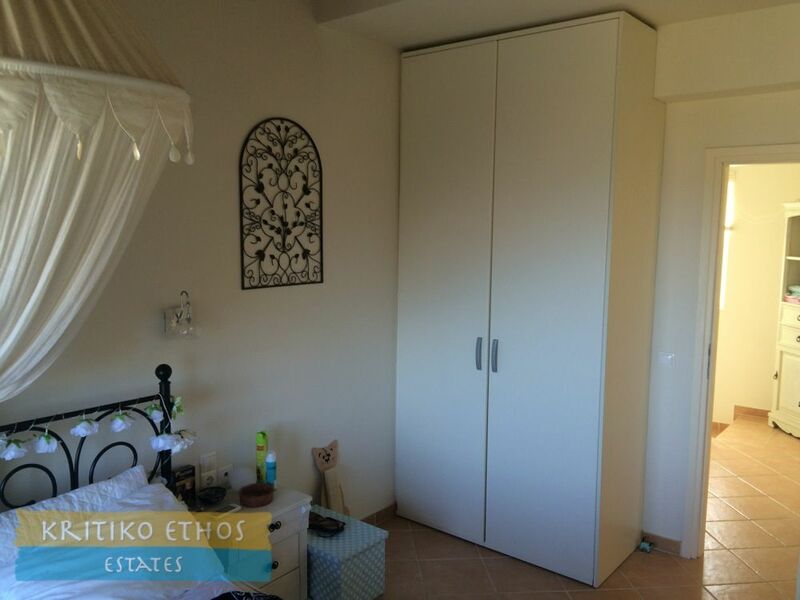 Villa for sale in Kokkino Chorio Crete with great sea views! 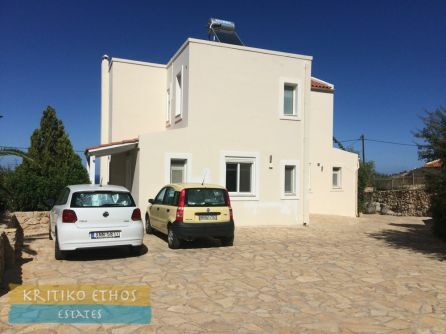 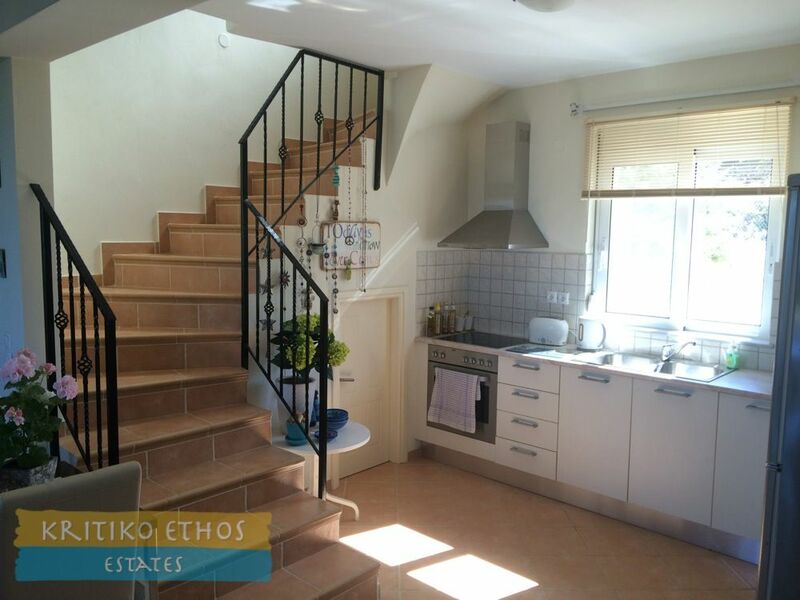 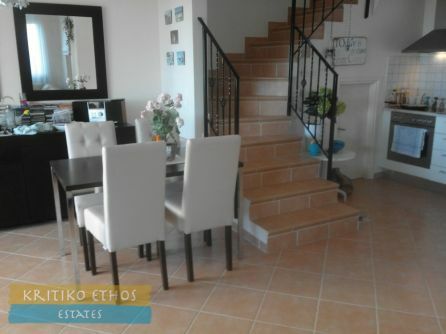 For sale in Kokkino Chorio - Lovely two-bedroom home with shared pool and excellent sea views! Home > Homes And Villas > For sale in Kokkino Chorio - Lovely two-bedroom home with shared pool and excellent sea views! This recently-built 119 sqm two+ bedroom home is situated in a prime sea-front location and offers excellent sea view from the pool deck, ground floor sitting and dining room, and the first floor bedroom verandas as well. Construction of this home was completed in 2007 and the owners have maintained the home in perfect condition. 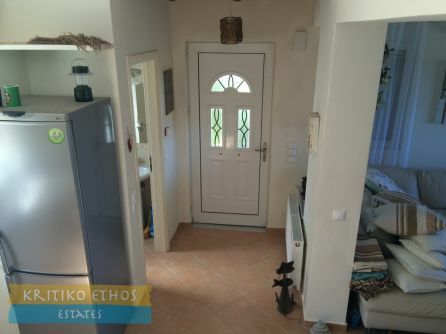 Entry to the home is via a gated and stone walled and paved common driveway. The home is at the very end of the development offering excellent privacy and the very best views. 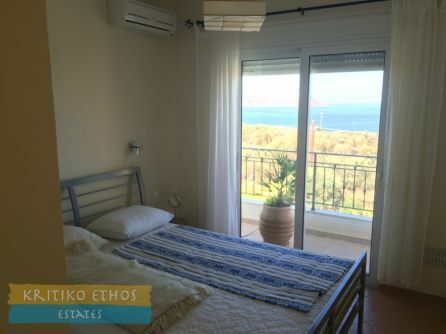 The first thing a visitor will notice about the home is its light and airy feeling … one feels right next to the sea. 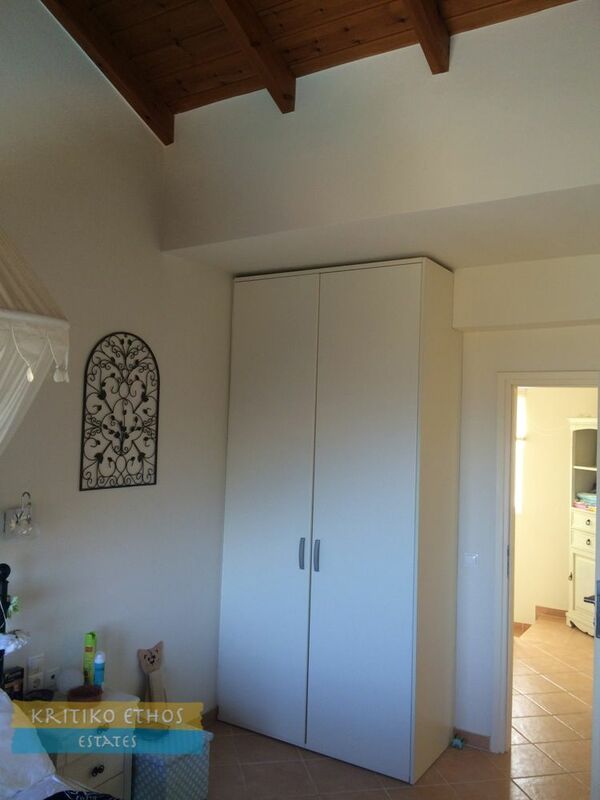 And the design and furnishing enhances its beauty. The ground floor comprises a gorgeous entry hall with a comfortable kitchen and spacious open-plan sitting room and dining room. 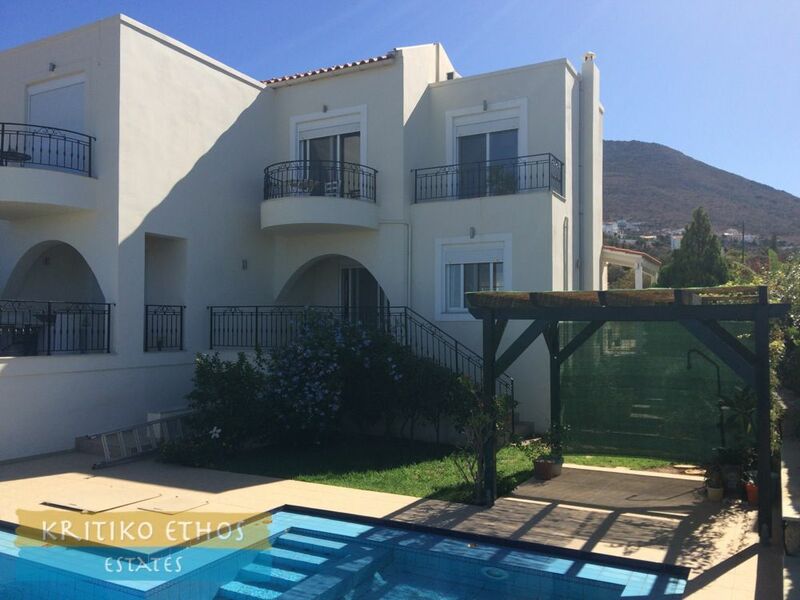 Sliding glass doors from the dining area open to a very pleasant partially covered veranda overlooking the pool terrace and offering magnificent views of Souda Bay and the open sea. 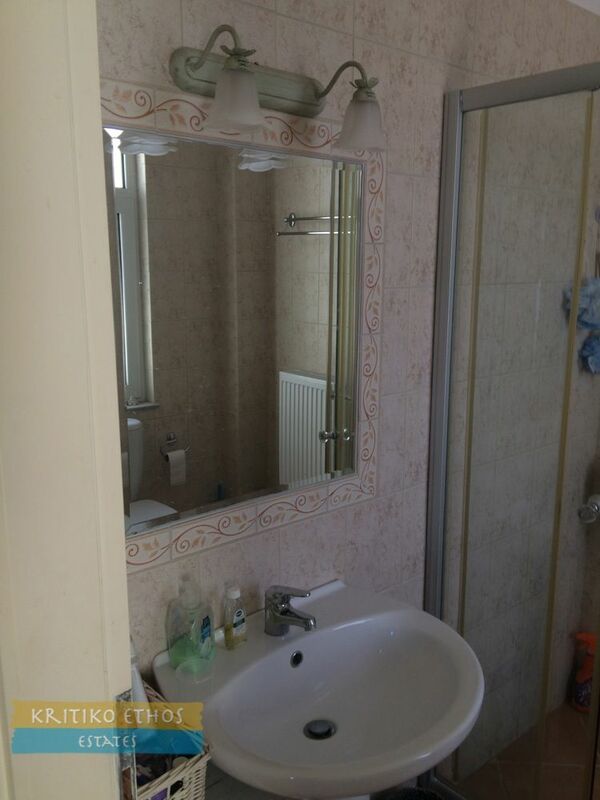 A guest toilet and under-stairs storeroom are also located on the ground floor. A tiled staircase leads to the wood-beamed ceiling first floor with two large double bedrooms, each with plenty of wardrobe space as well as private sea-facing verandas overlooking the pool terrace. 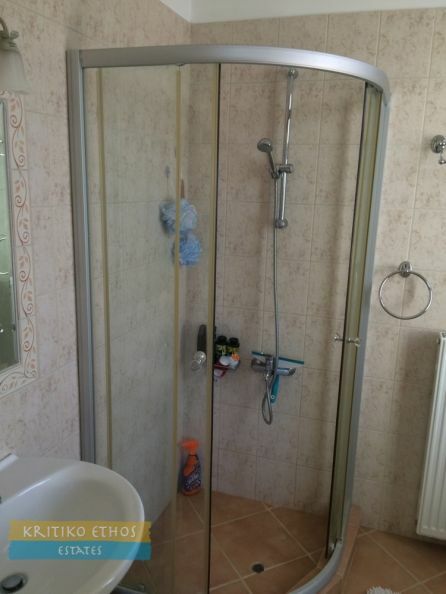 The bedrooms share a large shower room. 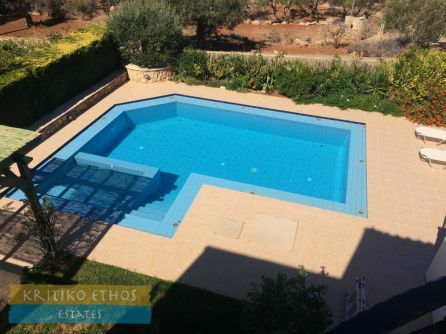 The pool terrace is fully tiled and the 34 sqm L-shaped pool is perfect for young children to safely splash about as well as for serious swimmers. 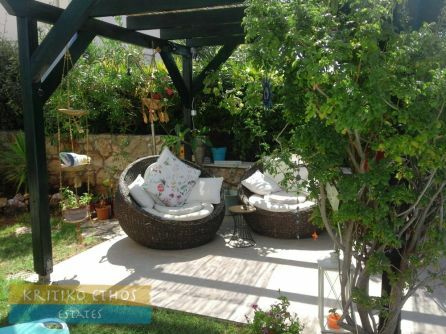 There is also a private barbecue and plenty of space for al-fresco dining by the pool. 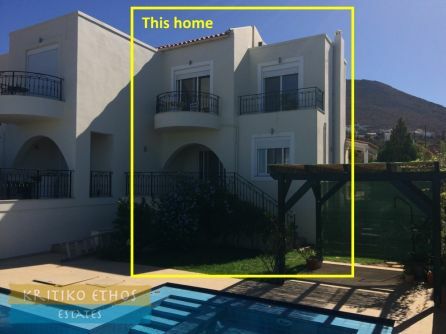 The pool is shared with only the adjoining home. The small private side has been planted with grass and flowering plants. 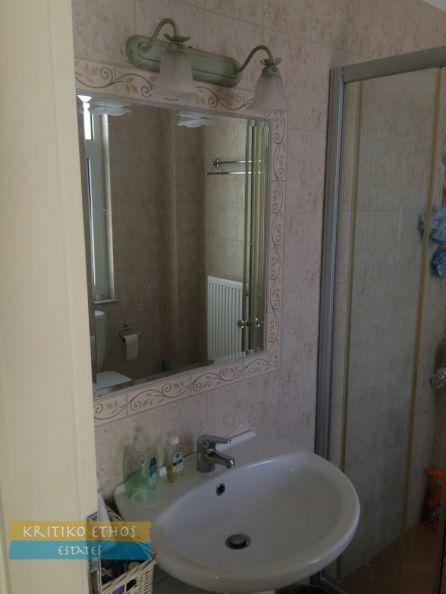 The large 29 sqm two-room basement is accessed from the outside of the home. This large space is presently used as a storeroom but could easily be converted into a third bedroom. 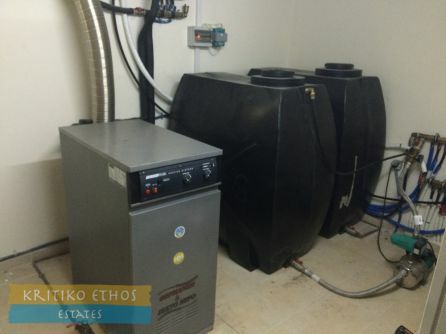 This is also the perfect place to store the poolside sunbeds during our very mild and brief Cretan winter. 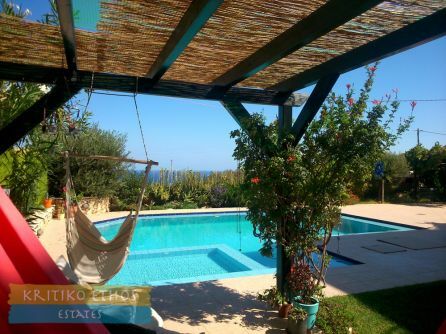 In summary, this is simply a very beautiful home offering fantastic views and a very peaceful and relaxing lifestyle. 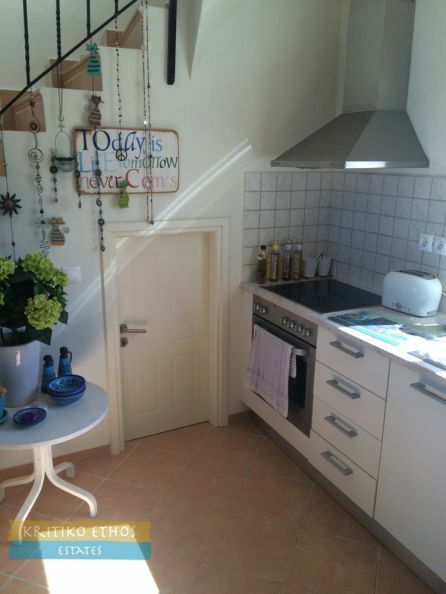 It is an excellent holiday home as well as a permanent home. 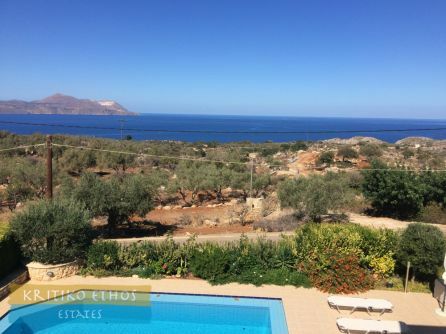 We would certainly be pleased to show you this great home when you next visit Crete. And if the weather is amenable, you might wish to go for a swim at Koutalis Beach, less than 1 km from the home! All white goods included! The selling price is exclusive of property transfer tax, legal expenses and agency fees.